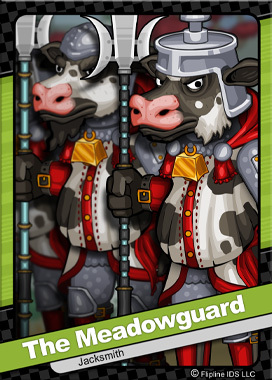 The Meadowguard is a highly honored class of knights who have taken part in many epic battles throughout the ages. These skilled pikemen will fight alongside anyone who finds themselves battling the forces of evil. The Meadowguard’s last battle took place centuries ago against the powerful wizard known as Dromaius Vermillion. Although victorious, the Meadowguard’s kingdom was completely destroyed. ← Preview: Big Pauly Unlocked!